When the 2017 Chevrolet Cruze diesel is launched in the spring, it is expected to get at least 50 mpg (4.7 l/100 km) on the highway. The Cruze's new turbodiesel is rated at 137 hp and 240 pounds-feet of torque. 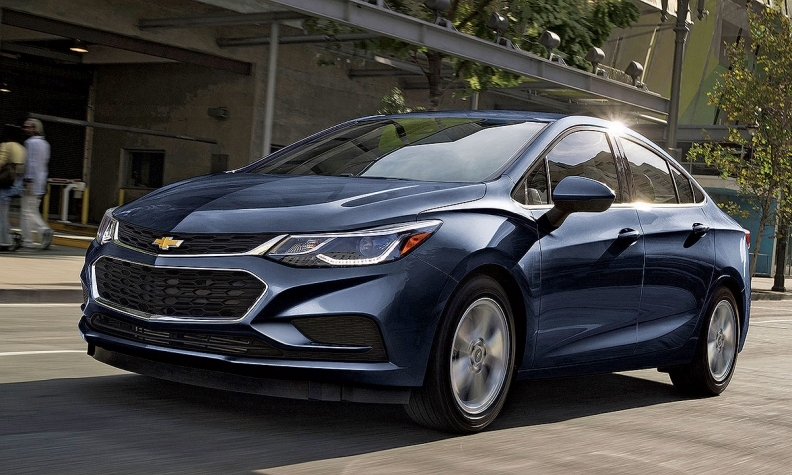 DETROIT -- The upcoming diesel version of the Chevrolet Cruze might be General Motors' first non-hybrid vehicle since the 1990s to get an EPA-certified fuel economy rating of at least 50 mpg (4.7 l/100 km)on the highway. GM is awaiting EPA certification of the car's fuel economy ratings ahead of a spring launch. The Cruze's new lightweight 1.6-litre turbo-diesel engine will be optional on the Cruze hatchback and sedan. 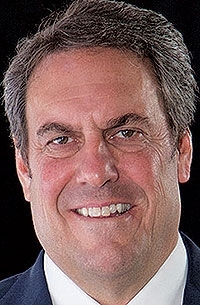 Asked at the Detroit auto show about the Cruze diesel's highway rating, GM product development chief Mark Reuss said: "I think it will start with a five." Mike Siegrist, chief engineer for the Cruze diesel, would not confirm that GM's target is a 50 mpg (4.7 l/100 km) highway rating. But he said the outgoing version's 44 mpg (5.35 l/100 km)would be topped. "We don't usually go backward," Siegrist said. The early 1990s Geo Metro XFi is the last time GM had a non-hybrid car that had an EPA highway rating in the 50-mpg range. Reuss: Thinks mpg rating "will start with a 5." The Cruze's new turbodiesel engine has an aluminum block and is rated at 137 hp and 240 pounds-feet of torque. It will be offered with either a nine-speed automatic transmission or a six-speed manual. The Cruze manual, Siegrist said, will have a higher EPA rating than the automatic. In 2015, the last time Chevrolet offered a Cruze diesel, the car had a 2.0-litre engine with a cast iron block. And the car came only with a six-speed automatic transmission. With the 2017 model, most of that power comes on low in the rpm range, Siegrist said. In addition to high fuel economy, he said, engineers also concentrated on refinement. "We've taken a totally different approach to address noise at the source," he said. The cam timing details, for instance, are at the back of the engine, instead of the front. And to keep diesel chatter low, the fuel injectors shoot as many as 10 squirts of fuel per stroke. The all-new 2017 Cruze Diesel Sedan will be priced from $25,695, including the destination freight charge, when it goes on sale in Canada early in 2017.